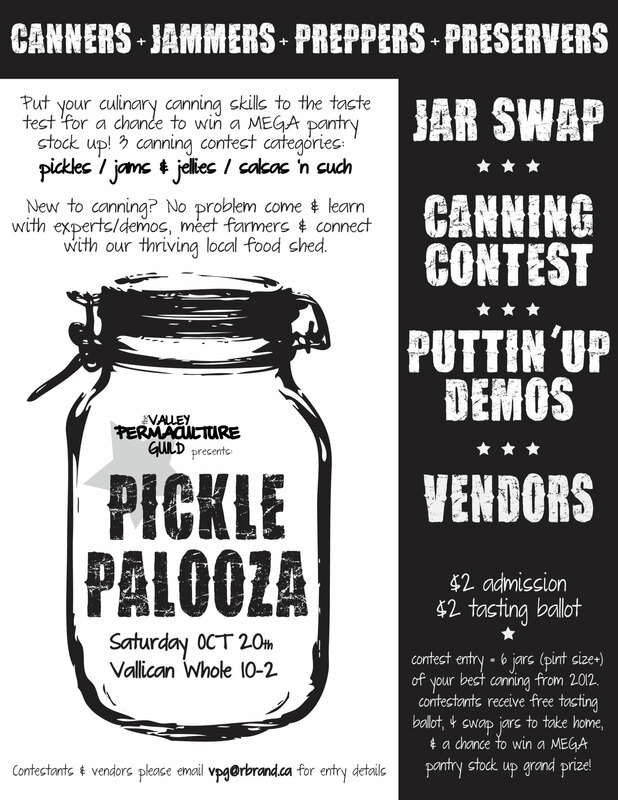 The Valley Permaculture Guild (another recent undertaking) is hosting Pickle Palooza THIS Saturday October 20 @ Vallican Whole Community Center in the charming Slocan Valley from 10-2. More details here. We have invited some fabulous local experts on various preserving techniques (curing / canning / fermenting to name a few) Along with groups working on growing good organic food, sharing good organic food and everything in between. The day will also boast a canning contest and a jar swap (finally my dream swap come true), there will be live demos, a tasting ballot, and canning crafts!